For commercial contracts, a civil law system generally allows for a non-breaching party to choose between damages and specific performance. However, for purposes of enforcement, the notion of specific performance varies significantly under the rubric of a civil law system when compared to a common law system. Under the latter, specific performance is considered a form of equitable relief, meaning that such required action is awarded to the obligee (the person to whom the other is obligated under contract) to the extent that such damage is unique and monetary damages are inadequate to compensate the same. In other words, the obligor (the person who owes the obligation under contract) is required to perform the specific act according to the undertaking made under contract, and failure of such performance may be considered as a violation under the judicial system. Under a civil law system, however, specific performance is viewed differently. In the event of a breach of an obligation by way of non-performance. an alternative remedy, such as compensation, may be imposed on the obligor at the discretion of the judiciary. Under the Civil Law of Kuwait, Law No. 67 of 1980 (the “Civil Law”), specific performance is an available remedy but only at the discretion of the Courts (Article 284). The exercise of this discretion would override any contractual provisions dealing with these remedies. 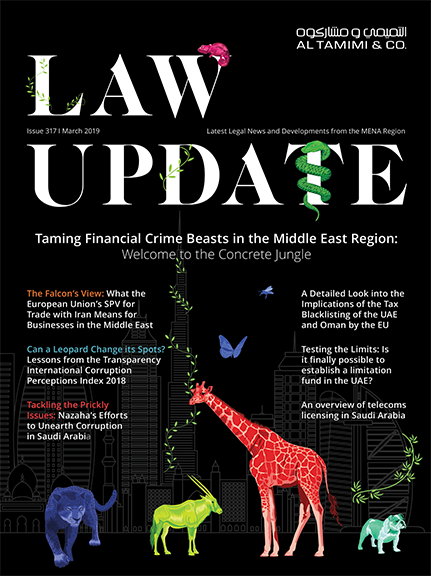 Further, the Kuwaiti courts may exercise their discretion to make an award of damages, even where specific performance of an obligation or injunctive relief is expressly sought in a contract. Any clause purporting to apply such remedies in relation to a particular agreement may not be applied by the Courts who may prefer to exercise their discretion in terms of an alternative remedy. Accordingly, from a general perspective, Kuwaiti courts are reluctant to provide for remedies other than an award of damages, even where damages are difficult or impossible to value, or an award of damages would otherwise seem inappropriate. In summary, the Kuwaiti courts are unlikely to award remedies of specific performance, injunctive relief or analogous forms of relief. Notwithstanding the above, at the time of drafting the contract, as a means of increasing the likelihood of an undertaking to performing the same, the obligor may offer the obligee a promise to act in favour of the obligee in a separate document ancillary to the underlying contract (the “Declaration”). In other words, the Civil Law allows for a Declaration to be enforceable where (i) there is consent of the parties to enter into the underlying contract; (ii) the promise to act is valid, applicable and possible; and (iii) the action is legal and not in contravention of public policy. Such a Declaration, coupled with a writ of execution, can be notarized at the Ministry of Justice Notary Department. Samples of Declarations which are common include a declaration to transfer identified assets/equity to the obligee at a prescribed future time. The Declaration is a favourable alternative to seeking redress within the standard litigation and appellate process in Kuwait since the writ of execution allows for the obligee to seek immediate enforcement of the action at the Execution Department of the Ministry of Justice. However, as with the litigation process, the obligor is entitled to raise a defence to such enforcement. As a note of caution, to the extent that the Declaration and the writ of execution are enforced and the obligor fails to perform the specific action, or raises an affirmative defence, the underlying obligation may still nevertheless be substituted with compensation at the discretion of the judge, particularly where it is determined by the judiciary that impossibility, impracticability, or contravention of public policy play, a prevalent factor. Such compensation may be calculated based on damages suffered and loss of profits. In conclusion, to the extent an obligor is considering offering a Declaration and such action is deemed impracticable or impossible, the obligor should be aware that the envisaged remedy under the Declaration may be set aside and it may face a potential monetary exposure in the form of compensation. From an obligee’s perspective, there is need for caution in circumstances where the underlying obligation may be deemed impracticable and/or immeasurable and the application of the discretion of the judge may result in a much lower recovery than the obligee may have anticipated. Accordingly, the Declaration, as a form of specific performance, should be used where the underlying action is both practical and measurable.